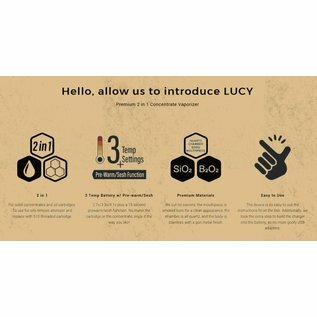 Welcome to the LUCY pen from Thrive - We cut no corners, the mouthpiece is smoked boro for a clean appearance, the chamber is all quartz, and the body is stainless with a gun metal finish. For solid concentrates and oil cartridges. 2.7v/3.3v/4.1v plus a 15 second prewarm/sesh function. 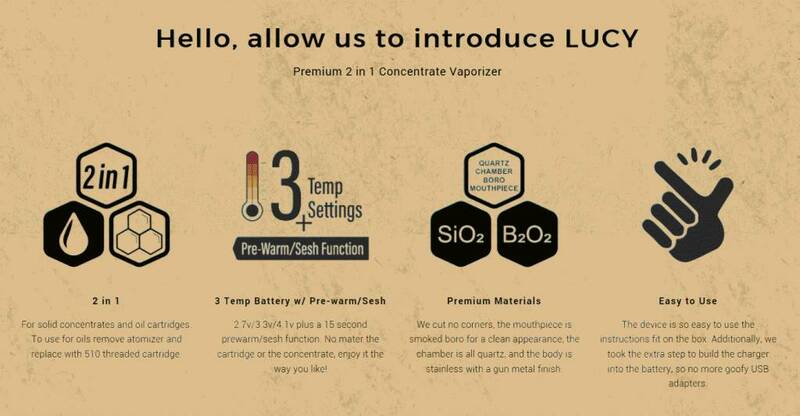 No mater the cartridge or the concentrate, enjoy it the way you like!